Yet another fun card. 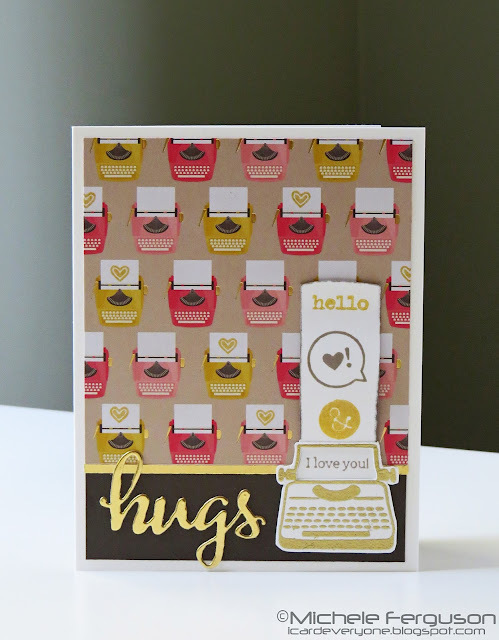 I am especially enjoying how each week there is a different kind style of card to inspire us..never gets boring! Sandie, I for one am so happy to hear this! Elizabeth! Hope you see this!! I still haven't laid hands on that Flickr account, but want to say gorgeous little apple DP [wouldn't those girls who stamped computers be happy to have that?!] and thanks for playing cards with me at Muse! Thanks Michele! I find sometimes I can't comment on other Flickr cards too...and I do have a Flickr account. The last 4 months have been my first foray into social media and I thought I would go slow. Flickr seemed safe... Thanks for for the warm compliments. Lots of great cards this week. Hard to choose only 3!